Blogging has become an industry in itself with many people now making full-time careers from it and companies exploiting blogs as a key way of attracting new business. As the influence of blogs has increased, it has naturally become more competitive and more difficult to stand out from the crowd. Bloggers are investing huge amounts of time and money into their content, so simply sitting down and publishing some words you wrote in your kitchen is unlikely to cut it these days. There are too many ways of making a blog successful to cover in one blog post, but there are certainly a more manageable set of things you can do to improve your blog’s performance in search specifically that a surprising amount of bloggers overlook. If you have a blog that has been built off the back of a great brand and fantastic social media presence, but you haven’t paid too much attention to SEO, then this post is for you. I’m going to share exactly what we did to more than triple a travel blog’s search traffic over a 12-month period and take them from the tens of thousands of visits per month to the hundreds of thousands. Our work has focused on technical SEO activity rather than content production or off-site work. It’s important to highlight that this blog already had a very good presence and lots of good things already going for it, so I wanted to break down the starting points in a bit more detail first before we get into the nitty-gritty of what accelerated the growth. The site already had a very good link profile, with a wide variety of links on strong, top-tier publications like CNN and the Independent, along with lots of links on other blogs they had built relationships with. Guest Writing: Writing posts for other blogs or getting featured via interviews etc. This is very easy for bloggers with non-commercial sites and is a very scalable way to develop a good link profile. PR: Building relationships with journalists or pitching stories to big publications that can gain you links and mentions on very powerful sites. The site has been around a long time so it had accumulated lots of content which was well written and had been edited and targeted with SEO in mind. As a result, a lot of it was ranking well and bringing traffic to the site and seemingly performing very well. If you’re just getting started on your blogging journey then populating the site with really good, quality content should be a high priority for you. So, as I highlighted originally, the key part of our activity that took the site from tens of thousands of visits per month, to hundreds of thousands of visits per month, was technical SEO work. I’m going to break down all the key elements we addressed below, so if you’re sat with a blog in a similar position to what I’ve described above you can implement these actions to help unleash your blog’s traffic, too. I’ve prioritized these in a way that I believe has had the biggest impact (with the largest impact first), but this is obviously up for discussion and we can’t be sure what influence each individual action had as these were all implemented on the same timeline. A common issue for blogs, especially those that have been around a long time, is having lots of URLs indexed by Google that are not genuine pages and offer no value to users. We crawled the site and identified the patterns behind the key offenders in this area and either noindexed them or updated Search Console to stop Google crawling them. The site had a huge amount of pages with extremely thin content present. These were basically category pages with a small intro added that were clearly created with SEO in mind to target long-tail phrases. However, it was done to such a degree that the pages were of extremely low quality and added very little value for a user landing on it. The potential upside of this kind of page wasn’t enough to warrant the time required to add content to them, so these were either removed or noindexed. When we started work the site’s page speed was extremely poor due to various fonts, large images, caching, and various other issues. We used some plugins to help improve this, which isn’t the dream solution (building a site more efficiently from the ground up is preferable). But for bloggers on a tight budget and with limited resources and knowledge, you can still make some significant steps forward. For some of the site’s key money phrases, there were multiple pages present that were targeting the same topic. Google was chopping and changing between which of the pages was ranking so it was clear it was unsure which the best choice was. This is usually a good sign of content cannibalization and suggests you should merge those pages into one top quality page. We did just that, and soon saw the ranking page settle down and ranking performance jump forward significantly and stay there consistently. The site had a variety of sitemaps submitted in Search Console, many of which listed URLs which we did not want to be crawled, let alone indexed. We trimmed this so the sitemaps present only listed URLs with good quality content present so it was much clearer what should be indexed and which content was most important on the site. Advertising is the way most bloggers make their money, so telling them to cut it down is not a popular conversation. However, if you go overboard on your advertising then it can become ineffective and even harm your overall performance so you get less traffic, less conversions, and therefore less pennies in your piggy bank. Finding the balance is key and it’s been shown that Google’s recent updates have been hurting sites with excessive advertising taking precedent over unique, quality content. An issue we see regularly with blogs and websites in general is that header tags are used for styling rather than structure. 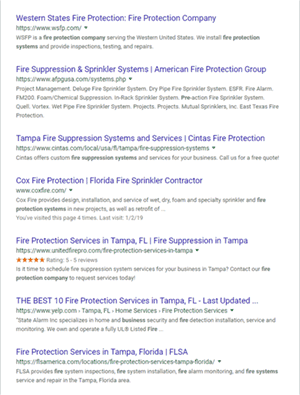 H1, H2, and H3 tags should be used to clearly illustrate the structure of your page so Google can map it on to the phrases it would expect to see mentioned on the topic being covered. If your site’s headers are being used for styling then get on to your developer and get it changed so you use these elements in a more tactical and optimized way. Fixing any dead internal links that were linking to broken pages. Fixing internal links that took users and bots through redirect chains, so the link pointed directly to the correct destination. Adding more links to important pages throughout the site. As I mentioned initially, the site had some excellent links that it had established over the years through natural approaches and some more direct efforts. Some of these more direct efforts involved getting optimized anchor text to key money pages which had been a bit overzealous at times. We believed it was potentially causing the site to be held back from ranking for phrases in that area and for that page in particular. Fortunately, the owners still had contact with many of the sites where this was in place, so we advised which to contact to have their anchor text updated to make it either branded or more generic (e.g., click here). There were other elements involved too, but those above were the key issues that were wide reaching and causing significant performance issues. It’s rare to find one silver bullet with technical SEO, but if you chip away at the wide variety of issues that can impact you then you can see some serious improvements. The theory of marginal gains certainly applies here, and I’d advise any blogger who is well established to pay close attention to these kinds of issues if they haven’t already. We also haven’t yet implemented all the recommendations we’ve suggested. One key outstanding one is implementing “hub pages” that guide people into all the key content on a topic. In travel, this is very much destination focused, and there is a lot of search interest to gain if you create high quality pages for those hubs. This is the key focus to move on to next to help accelerate this site’s progress further, and there is a huge amount of potential in it once implemented. So if you’re a blogger with lots of great content and links, but you haven’t yet paid any attention to your technical SEO, do it now! Make sure you aren’t leaving significant amounts of traffic on the table – you may be sitting on huge growth potential. Time to kick into gear! Search engine optimization, when done correctly, can take a lot of work. This is why so many people are so eager to take shortcuts. Fortunately, there are some tasks that don’t require as much effort, compared to tasks like link building, yet still yield significant gains. I’m a big fan of efficiency, so I love tactics that deliver a greater return on my investment of time and/or money. In this article, I’m going to explain five of these tactics which are easy to execute successfully but can deliver powerful results. These easy SEO wins will help you get more out of your efforts and sprint past your competitors. They will also help to leverage better results out of your other SEO efforts like link building and content development. You probably created all of the content on your website with the best of intentions, but still, it’s almost a certainty that some of it is garbage. There are a variety of reasons for this, and it happens to the best of us. The solution in many cases is to prune this content. In fact, Danny Goodwin and Loren Baker recently hosted a webinar on exactly this topic. Some people are hesitant to get rid of any content, no matter the reason. The thinking is generally that it can’t do any harm to leave it there. And Google has reinforced this thinking time and time again. But the reality is that despite what Google’s representatives say, outdated and/or low-quality content can negatively impact your ranking and traffic. It probably should impact your credit score too, but apparently, I don’t have the clout necessary to make that happen. Once you’ve worked up the courage to start pruning, the first step is to identify the content that should be deleted. The easiest and most complete way to do this is to use software like Screaming Frog to crawl your website and generate a list of URLs. This helps to ensure you don’t miss anything. Next, you’ll need to begin the tedious task of reviewing this list, URL by URL, to determine which content is outdated or low quality. This means you actually need to manually visit each page and review the content. It may help to prioritize this list. Google Search Console gives you the ability to export a CSV file of the URLs Google has indexed for your website, which you can then sort by traffic. From here, you’ll want to start evaluating the URLs with no traffic, working your way up. It’s important to point out that a lot of this content you’re deleting can and should be redirected to a stronger, high-quality page. But don’t fall into the misguided approach of redirecting them to your homepage. If there is a legitimately relevant page on your website, redirect it there, otherwise, just let it 404. But what about the content that’s not a complete dumpster fire, and is still relevant? If you’ve been doing things right, a lot, if not most of your content should survive the executioner’s blade. This content should be improved based on your visitors’ needs. The advantage here is that this content already exists, the URL has a history in Google, and it may even have some inbound links. Because of these factors, it makes a lot more sense to improve that content rather than starting over from scratch. Editing your content to improve readability, increase engagement, and to make it more comprehensive. Adding relevant and useful media, including images, video, and PDFs. Including original data, research, statistics, and case studies. We’ll want to prioritize the content to improve based on quick and easy wins. This means we won’t be targeting topics we don’t already rank for, but we also won’t be focused on improving positions we already rank highly for. So let’s go back to our Google Search Console export and sort the data based on URLs that rank anywhere from Position 5 to 30 in the search results. We’ll then further sort this data by relevance and potential search volume. From here, we will compare these URLs to our competitors who outrank us to identify opportunities to improve. Despite what you may have been told, size does matter. While not a worthwhile metric on its own, it can help to determine how comprehensive several URLs are in comparison to each other. Generally speaking, the top ranking pages across all industries tend to be more comprehensive than those that they outrank. This doesn’t mean that longer content will always win, but it can be a powerful factor. Does your content effectively and completely answer not only the original query, but also any related questions that may come up as a result? How well-written is your content? This is not something you want to evaluate by gut feel – you need an objective measurement. Yoast gives you a readability score while editing content right in WordPress. SEMrush enables you to test readability both within their platform and with a Chrome add-on that integrates with Google Docs. There are countless other tools as standalone websites, apps, and addons/plugins, available. Your immediate goal is to make your content easier to read than the content that’s outranking you, but that’s just a starting point. If your competitors content reads like someone spilled a bowl of alphabet soup, don’t set out to simply be a little better than them. Your goal should be to blow them away. Are original and useful images included within your content? How about video and/or audio files? Images can provide additional context that helps search engines understand what your content is about. So can video, provided that schema is properly used. But both serve another more important role, and that is to improve the user experience. Look for opportunities to use media to provide additional information that’s not included in the text. Both images and video are great at making complex topics easier to understand, but video is particularly effective at keeping visitors on your website longer, which is always a good thing. It’s always a wise idea to include a watermark on your images to prevent competitors from stealing them. Sure, you could file a DMCA complaint after the fact, but it’s always easier to avoid the problem in the first place. Internal links can be a powerful tactic in your SEO toolbox, but it’s important to review them from time. Your internal links should point to any pages that you want to rank well, and they should be placed on any pages with content relevant to the link destination. Equally important, these links should be direct. This is a pretty common problem in websites where content is frequently published, moved, or deleted. The solution is to use a tool like Screaming Frog or SEMrush to crawl your site and identify any redirect chains. As for managing these internal links, I’m a big fan of automating this task, and this is easy for WordPress websites. There are several plugins available that enable you to specify certain words/phrases to automatically link to specific URLs. This allows you to instantly create, edit, and delete links across your entire website, whether you have a few pages or a few million pages. The longer a webpage takes to load, the fewer leads and sales you’ll generate. To compound this problem, slower websites also tend not to rank as well compared to faster websites. This makes page speed monumentality important. Most websites are painfully slow, but the good news is that it’s relatively easy to improve. While improving page speed requires a moderate level of technical expertise, I still consider this to be an easy win because the improvements you make will have an immediate and sitewide effect. I’ll briefly share a few tactics here, but I encourage you to check out another article I wrote, explaining how to improve page speed, in great detail. The cheaper web hosts tend to oversell their services, so your website is crammed onto a server with hundreds or even thousands of other websites. Because these servers often lack the horsepower necessary, the websites they host often suffer in terms of page speed. Fewer HTTP requests typically means a faster website. You should also minimize the number of image files by using CSS to create the desired design effect and/or using sprites to merge multiple frequently used images. Images and videos on many websites tend to be larger than they need to be. The first step is to to make sure your media files are in the ideal format. For example, JPG is best for photographic images, while GIF or PNG are better for images with large areas of solid color. Then, you’ll need to ensure your media files are properly sized. Images and video should be no larger than they will be displayed. For example, if a particular image on your website will be never displayed at more than 800px wide, the image file should be 800px wide. Finally, you’ll need to compress your media files. There are a number of free tools available online for compressing various file types. There are also WordPress plugins that can compress all of the images already on your website. These three steps are a good start, but as I mentioned earlier, I highly encourage you to check out my previous article on improving page speed for more tactics and greater detail. There is no definitive evidence that schema markup has any direct impact on ranking, however, it’s still critical to SEO. That’s because it has the potential to increase your website’s visibility in the search results, which results in higher click-through rates. Since most websites today still don’t use schema, this creates a tremendous opportunity for those that do. Take a look at this example and tell me which result caught your eye first? Fortunately, implementing schema is relatively simple. There are three types, and they are used in different scenarios. Standard schema microdata, which is marked up directly in HTML. RDFa, which is used in a variety of different document types including XML, HTML 4, SVG, and many others. In some cases, you’ll use JSON and add it to your website just like you would any other script. In some cases, you’ll add markup to specific elements on your website, and in others, you might add RDFa to a different document type. Roger Montti wrote a great, in-depth post on schema, so rather than reinventing the wheel here, I’ll just direct you to his article. But schema goes a lot deeper than where it is today and I anticipate that it will play a much larger and more direct role in the search algorithm. Especially as voice search begins to gain traction. Montti explains in another article how Google is currently using speakable markup, which I believe will become a more prominent factor in search in the coming years. Ready for some detailed advice to help protect your reputation online? The advice you’ll read in this article works for both proactive reputation management, and for those that already have online negative content/reviews about them. Be advised, however, that some sites may be impossible or very hard to beat. Major news sites (e.g., The Wall Street Journal, LA Times, New York Times) require significant work to manage. If a major news site has posted negative content about you, then you really need to be (or hire) an expert in SEO. The do-it-yourself option is just not feasible at that scale. That said, these tips will help some DIYers before moving on to an expensive reputation management firm. Up until recently, popular complaint website RipoffReport was also hard to beat. Recent changes to Google’s algorithm (which we think occurred in September 2018) have pushed some complaint sites lower in search ranking. Read my prior article for more details about this. You want to make sure that you really are providing an excellent service to avoid getting negative reviews in the first place. Consider going above and beyond your current efforts. For example, if you run a restaurant, maybe provide a free appetizer to surprise new or returning customers. If you notice even the slightest sign that a customer is unhappy, try your best to resolve the issue ASAP. The next best thing is to offer a free service or refunds to make up for the issue. You can’t make everyone happy. I have been doing SEO services for over 20 years and there have been many times when I’ve had unhappy clients. I have always either offered free services or provided refunds to my unhappy clients, and this is how I have kept a near flawless record online. They say the client is always right. I know that sometimes they are not, but consider whether arguing with your customer is worth your reputation. The decision may come down to the dollar value of your services. Maybe a negative review on Yelp or Google Maps would not affect your overall rating because you have many positive reviews. But what would happen if you got a negative review on a complaint site like RipoffReport? Often, these kinds of reviews rank high for the brand name and can do more damage in a few months than the amount in dispute with your client. I have offered full refunds to several clients over the years because the threat of a negative review on the right site can hurt. My firsthand knowledge of the damage done to businesses has made me overly cautious. One negative review can cost thousands of dollars in online reputation management (ORM) services to try and repair. Certain professions are more likely to have more negative reviews than positive. For example, dentists for some reason usually get a high number of negative reviews. My guess is that no one goes to a dentist with a happy feeling. One usually goes to a dentist to fix a cavity or do a cleaning, which could result in the discovery of cavities and require more work. Having to spend money you had not planned on spending is a pretty good reason for most people to get upset. Even the best dental insurance requires some kind of a copay, so dental procedures can be expensive. Even if you aren’t a dentist, you’re more likely to get positive reviews if you ask for them. If you avoid asking your best customers for reviews, you may end up with more negative reviews than you would have wanted. Just make sure that you know your customers are happy before you ask for the review. If you are seeing your customer in person, you may start by asking how they felt about your service right after you finish the job. Alternatively, you may want to follow up after a few days. Another tip is to use a different person to follow up then whoever served the customer. If it is one of your staff that did the work/sale, then either a manager or you should do the follow-up. This way the customer is more likely to tell you about a negative experience, and you won’t feel as defensive about it since you were not the one involved. Consider offering some kind of incentive for reviews, but be warned that this practice is against Yelp. If you do this, make sure to never ask for it in writing, but always verbally. If someone reports you to Yelp for doing this, you may get a warning or a demotion in Yelp’s search results. I have seen businesses post messages behind their business cards asking for Yelp reviews, with a discount for positive reviews. A customer just needs to take a picture of this and send it to Yelp. Yelp will quickly follow up with a Consumer Alert on your account. If you have clients that are unhappy with your services, at first try to resolve or fix the issues, but if this is not possible, then offer a full or partial refund or some other incentive such as discount coupons or even retail gift cards. Accept that you were wrong. Trying to resolve issues will always sit better with clients than trying to argue. Refunds can either help avoid the negative review or lessen the damage and turn the negative review into a somewhat positive one. I’ve had clients where even a partial refund has meant the difference between a 1-star and a 4-star review. Even a 5-star rating may be possible. Many companies offer platforms for review generation. The basic concept is to collect your customer’s emails and/or phone numbers. After their visit, or every so often, you can send a survey email or text message to ask for feedback. The message will ask how they felt about your services and if the answer comes back positive you can then ask them to give you a review on the review site of your choosing, such as Yelp and Google Maps. If the answer comes back negative, you will see the message and can reach out to them to try and resolve the issue before they think about posting a negative review in the first place. I have a client with an ecommerce fashion store that dropships items from China, even though the business is based in the U.S. The delivery time is usually 2 to 5 weeks, which is slow for most people. In addition, sometimes the Chinese sizes run smaller than US sizes. So this business often gets many negative reviews and requests for returns/refunds. They also further upset clients by asking the customer to send back the item at their own expense. As you can see, this kind of business cannot avoid negative reviews unless they change their business model. The main benefit of their service is that it’s affordable. In fact, they are extremely cost-effective compared to similar fashion items found at major department stores. So, what can a business like this do? My advice begins with an adjustment to their sales copy informing customers that items are delivered from China and that shipping may take 2-5 weeks. This tactic reduces some of their sales, but it avoids so many unhappy customers and unnecessary refunds. Most people would probably not mind waiting a little if that would save them some money. The customers that don’t want to wait that long are usually the ones that would complain most because they probably needed the item to be there for an occasion. Also, they can offer free or reduced shipping costs for returns. If the item is pretty cheap, another option is to provide a full refund and have the customer simply keep the item. Amazon used this tactic effectively in its growth phase to encourage Prime users. The good news with this business is that they decided to change business models and keep inventory on hand to ship from the U.S. after I consulted with them. They have been getting fewer negative reviews since they did this couple of months ago. So my point here is to take a look at your business model to see what adjustments you can make to avoid situations that lead to negative reviews. Even if it is going to cost you some business or money, you would be better off in the long run. Not only will you increase business from new customers (thanks to positive reviews), happy clients will return and refer others to your business. There are a number of things you can do to create a positive online image. Your goal should be to populate the top 20 of Google with positive content about your business, which in turn may help to keep negative content out. Register your social media profiles on the top social media sites, and stay active on those platforms. Active Twitter profiles often get in the top 10 for their brand names, and Google may even show the latest feeds from them taking additional real estate space. YouTube videos will often rank well for brand names. You can create a professional video for less than $1,000, or an even lower budget video using your smartphone. Also, you can hire a freelancer on a site like Fiverr to do a slide show type video about your business. Distribute press releases every few months. Try to use different networks for distribution to get maximum coverage. If you don’t already have a blog, create one and post on a regular basis (once a week is what we recommend to our clients as a minimum). Create mini sites or blogs with subdomain blog platforms, such as wordpress.com or tumblr.com. Make sure your brand name appears as part of the subdomain (i.e., yourbrand.wordpress.com). Google recently added a dedicated section to search results for showcasing AMP Stories. So there’s no time like the present for learning how to create them. While AMP Stories can be created with or without this plugin, its drag-and-drop functionality certainly makes things easier. “Building on top of WordPress, and specifically the new Gutenberg editor available in WordPress 5.0, allows the AMP Stories creation process to benefit from the rich media management architecture available in WordPress. This feature is currently available in an experimental alpha version of the AMP plugin, which is said to work best with Gutenberg. With that said, download and install the plugin at your own discretion.